March Medium Tank Week + x2 Crew XP Weekend! Charge into battle in mobile medium tanks and train elite Crews with a x2 Crew XP bonus this weekend! Then rent the French AMX Chasseur de chars (CDC for short), a fast Premium medium tank with a powerful gun, and use it to unlock a rental of our Tank of the Month, the Chinese WZ-111 heavy tank! K9 Veterans Day is March 13! Check the portal for missions and pick up the rare Rudy tank which comes with a canine Crew member! There are a lot of missions this week -- how do I check my progress? Simple! Check out this handy guide! How Do I Rent These Powerful Tanks? 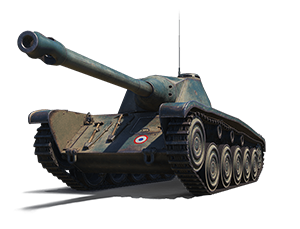 If you earn 20,000 XP each day over any number of battles in a vehicle of tier V or higher you'll unlock the AMX CDC for 24 hours. If you earn 5,000 XP each day over any number of battles in the AMX CDC you'll unlock the WZ-111 for 24 hours. Play your new tanks and see if you like them enough to own them for good! Earn 20,000 XP over any number of battles in a vehicle of tier V or higher. Rental vehicles will be credited for 24 hours following the completion of each mission. Play a battle, destroy two (2) enemy vehicles and place in your team's top 10 XP earners. Earn 4,000 XP over any numbers of battles. Play a battle and destroy two (2) enemy medium tanks. Play a battle, destroy three (3) enemy vehicles and place in your team's top 10 XP earners. Earn 5,000 XP over any numbers of battles. Play a battle and place in your team's top 3 XP earners. Earn 6,000 XP over any numbers of battles.